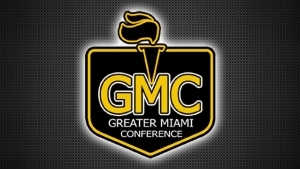 Congratulations to the Highlander athletes who were named GMC Athletes of the Week! The sophomore guard shot 44 percent from the field in 4 games last week, including 45 percent from the 3 point line and averaged almost 10 points, 5 rebounds and 3 steals per game. She also hit 7-8 free throws to seal a non-conference win over Milford, and put up 16 points and 8 rebounds in a GMC win over Middletown. As a first-year senior swimmer, Tommy has become a strong part of our team. He has added diving to help the team. He currently has a 3.76 GPA and is taking 3 AP classes. Mya rolled games of 181 and 212 for a 393 series at the Cardinal Classic on 1/27 helping the Highlanders reach the quarterfinals. Zach bowled his highest 2 game series of the series this week. Adonis played valuable minutes during our past weekend's 2 games against Middletown and LaSalle. He has improved quite a bit this year. Adonis is an excellent student, also involved in many community service activities.